Democratic Republic of Congo: on the brink of elections or chaos? What's next for the DRC ? Upcoming elections in the Democratic Republic of Congo have been postponed once again. Elections touted as the most well organised ever, are increasingly pushing the country to the edge. 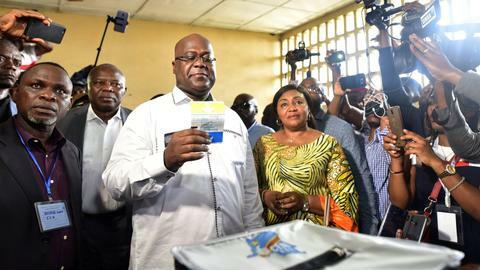 The elections, scheduled for Sunday, December 23rd in the Democratic Republic of Congo (DRC) have been postponed by the Independent National Electoral Commission (CENI) until December 30th. This represents the third delay in the holding of elections since 2016. The current president, Joseph Kabila was supposed to organise elections in 2016 and step down. Congo's constitution permits the president to serve two five-year terms. Joseph Kabila served his first term from 2006 - 2011 and the second term from 2011 to 2016. However, he refused to organise elections in 2016 and has extended his mandate by two years. The very fact that elections are being held is a result of a hard-fought struggle on the part of the Congolese people. The Kabila regime's security forces are responsible for the deaths of 400 Congolese since 2015, scores injured, hundreds jailed and others driven into exile. It was not until August of this year, after tremendous pressure from the Congolese population, regional powers such as Angola and South Africa and sanctions from the United States and the European Union, that Kabila decided that he would not run for a third term and wound up naming a successor. The naming of a successor set the stage for the current electoral landscape. President Kabila named a party hardliner and former Minister of Interior Emmanuel Ramazani Shadary to run for president representing a coalition that he formed and leads called the Common Front for the Congo (FCC in French). Kabila is serving as the head and moral authority of the FCC during the campaign and remains the head of his political party, The People’s Party for Reconstruction and Democracy (PPRD in French). Shadary who is under sanctions from the European Union for human rights violations that he committed during the repression of several marches over the last few years, has benefitted from all the levers of the state. Government agencies, the state television, governors from Congo's 26 provinces, state funds, security forces, etc. have all been mobilised to support Shadary. Kabila appears to have firm control of the purse strings, the security forces, the constitutional court and the Independent Electoral Commission (CENI in French). Although 21 candidates have been approved to run for the presidency, Shadary's challenge comes from two main opposition candidates; Felix Tshisekedi of the Union for Democracy and Social Progress (UDPS in French) and Martin Fayulu from Engagement for Citizenship and Development party (ECiDé in French). 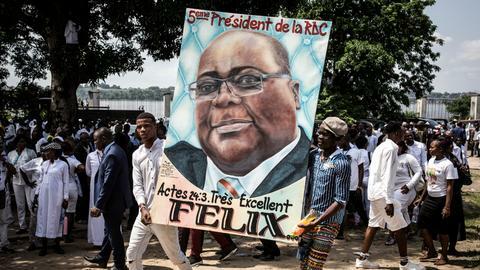 Tshisekedi is the son of the deceased opposition icon of the Congo, Etienne Tshisekedi and Fayulu is a former oil executive who worked for Exxon. Martin Fayulu is representing a coalition of opposition candidates called Lamuka. On November 11th, Fayulu was chosen by seven major opposition figures to challenge Shadary as a unified opposition. He was initially supported by Felix Tshisekedi, but in less than 24 hours, Tshisekedi withdrew his signature from the agreement and ultimately formed an alliance with Vital Kamerhe of the Union for Congolese Nation (UNC in French), another major opposition figure who also withdrew his signature from the agreement. The two formed an alliance called the En Route To Change (CACH in French). Two of the strongest would-be opponents to Shadary are Moise Katumbi a former ally of Kabila and former governor of the rich Katanga province and Jean Pierre Bemba, a former vice-president and 2006 presidential candidate and main opponent to Kabila in the 2006 elections. 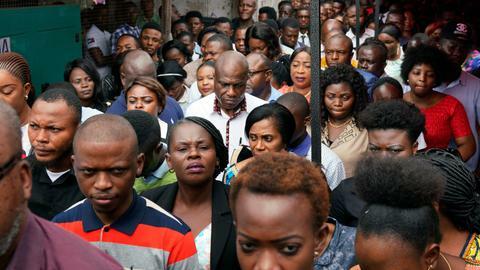 Both men were ousted from the presidential race - Kabila's security forces blocked Katumbi from entering the Congo to register for the presidential race before the deadline and Bemba was disqualified by the Kabila-controlled constitutional court. The stage was set for the campaign period, Emmanuel Shadary representing the FCC, Felix Tshisekedi for CACH and Martin Fayulu for Lamuka. The thirty-day campaign period kicked off on November 22nd. All three candidates generated large turnouts throughout the country. However, it quickly became evident that Martin Fayulu of Lamuka was mobilising massive turnouts at each campaign stop. The Kabila regime quickly sought to slow his momentum by prohibiting his plane from landing in certain cities, delaying his flights and most egregiously mobilising security forces against him and his supporters. In one campaign stop in the mineral-rich area of the country in the former Katanga province in the city of Lubumbashi, Kabila's security forces blocked Fayulu's motorcade from reaching the campaign rally site. 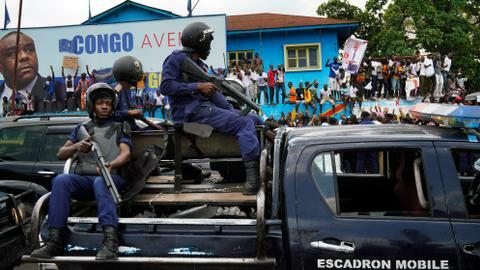 In addition, Kabila's security forces dispersed the crowd with tear gas, hot water tanks and live bullets. Three people were killed, scores injured, and the campaign rally was not allowed to take place. 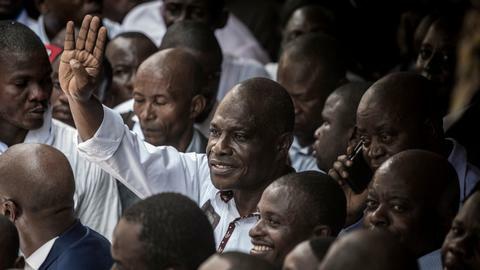 Also, nearing the end of the campaign period, a scheduled Fayulu campaign stop in the capital city of Kinshasa was outright cancelled by the governor of the city. The governor subsequently prohibited any campaigning from taking place in the city, blatantly violating electoral laws. Within 24 hours of the governor's prohibition, the Electoral Commission announced that the elections would be postponed due to logistical and other issues. The announcement was in stark contradiction to repeated assurances about the holding of elections from both President Kabila and the head of the Electoral Commission, Corneille Nangaa. For months leading up to the elections, both men arrogantly proclaimed that all was in order and the elections would be the best that the Congo ever organised. Kabila told western media during an interview blitz last week that he is organising "perfect" elections. Although the Electoral Commission later announced that the elections will take place on Sunday, December 30th, it is not entirely certain that the elections will occur on this date due to the tremendous logistical challenges that the commission still face. 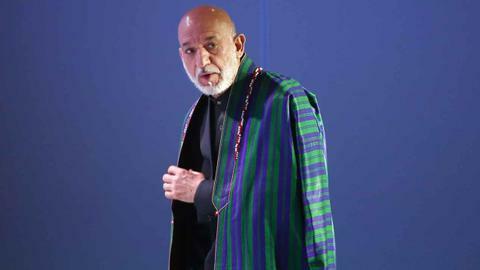 One thing that the opposition and many observers are not uncertain about is that for all intents and purposes, these elections are being organised to deliver the presidency to Shadary. Two major indices that the elections are being rigged are over six million unverified registered voters or 16.6 percent of the 40 million registered voters and the insistence on the part of the Electoral Commission on using electronic voting machines in a country where less than 7 percent of the population has access to electricity. In addition, a large segment of the mostly rural country has never used or seen a touchscreen device much less an electronic voting pad. Voting machines are widely regarded as cheating machines by the opposition and as instruments for manipulating the results. At this stage in the electoral process, the central question is not so much the vote, but the big challenge for the Kabila regime is how to declare Shadary victorious. The regime has already been floating a rationale for declaring Shadary the winner - that he has campaigned in all the provinces unlike his two main competitors, Fayulu and Tshisekedi. Their reasoning is that campaigning in most provinces equates to a certain victory. Considering that Shadary represents continuity of the Kabila regime, in any reasonably free or fair vote, he would readily lose to both Tshisekdi and Fayulu. During the campaign period, the massive crowds that have turned out for Fayulu and Tshisekedi have made it clear that they seek change. Congolese people continue to languish in extreme poverty with nearly 80 percent of the population living on less than $2 per day; widespread insecurity throughout the country; and a virtual police state that led the leading representative of the Vatican, Archbishop Laurent Monsengwo to say that Congolese are living in an open-air prison. The Kabila regime, bent on rigging the elections and securing recognition and legitimacy from the international community has a substantial threshold of believability to overcome. 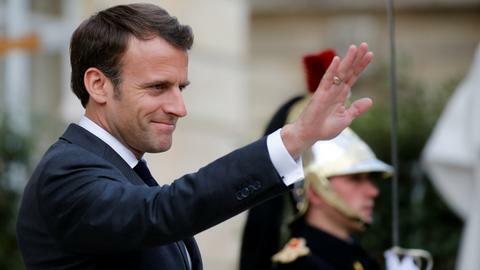 Should they announce Emmanuel Shadary as the winner, they will have to convince the international community that the very people that they have impoverished, tortured, injured, killed, starved and repressed for the past seventeen years voted for them to continue to subject themselves to such depredations. More ominously, a declaration of a Shadary victory may send the Congo into an abyss reminiscent of the years of widespread conflict in the late 1990s. Maurice Carney is the co-founder and Executive Director of the Friends of the Congo. He served as the interim Africa working group coordinator for Reverend Jesse Jackson while he was Special Envoy to Africa and has provided analysis on Congo for Al Jazeera, All Africa, Democracy Now, and a host of other media outlets.